Meryl Currie is passionate about healthy living and supporting local businesses and she's determined to make those things accessible to everyone. Well certainly in her neighbourhood of Durban North. The old idea of healthy living having to be boring is far behind us and It's All Good is a wonderful example of this. 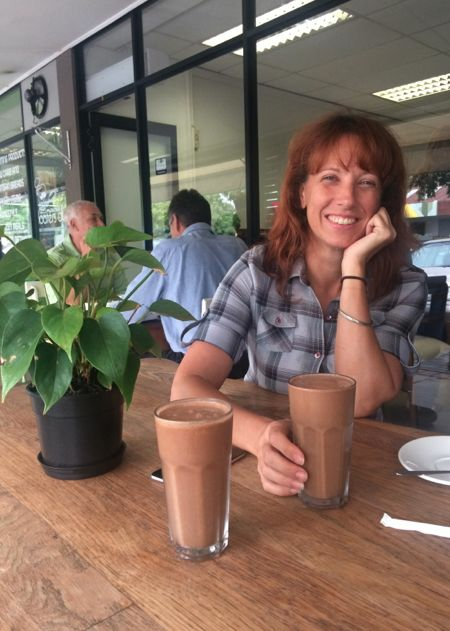 With scrumptious food and smoothies named after classic films like Rizzo - The Ultimate Pink Lady Smoothie (we agree), to the Casablanca salad, there is a cheeky element of fun at this fresh cafe, which is mostly because of the effervescent Meryl. 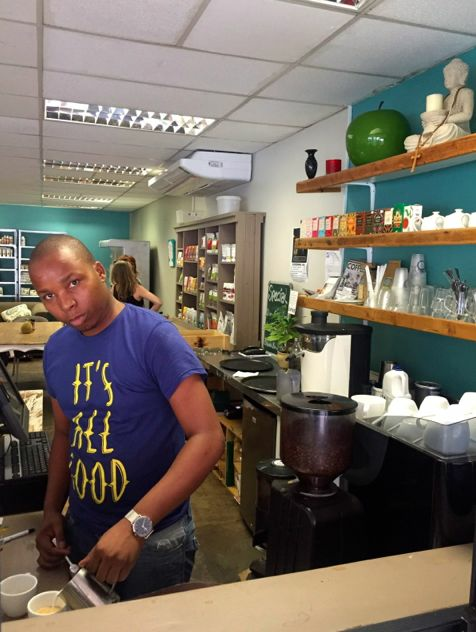 Sbonelo is the resident coffee whizz and makes a lovely Bean Green cappuccino. 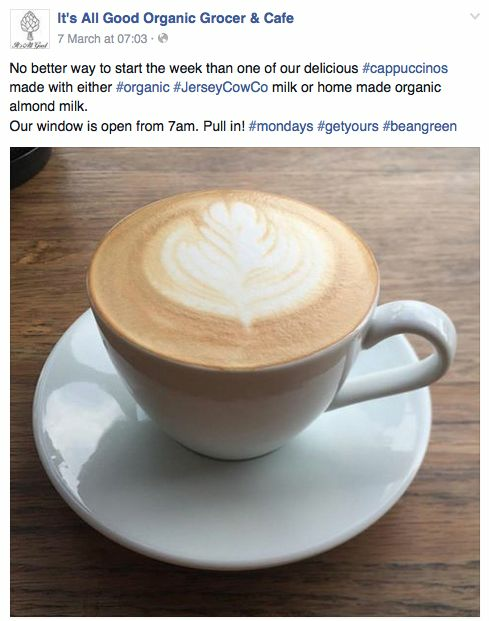 They make their own almond milk on site if you're looking for a dairy free option. 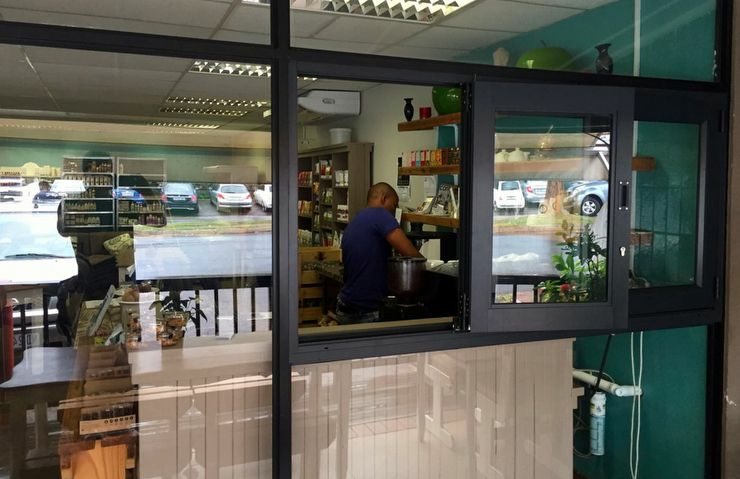 The grocer and deli has everything you need to prepare wonderful vegetarian meals and smoothies at home too. They celebrate their 1st Birthday at the beginning of April and word on the street is that there will be some crazy specials and delicious giveaways to mark this occasion, you can like their Facebook page for updates on this and other events. Meet Meryl! She's always up for a chat or to offer some advice on how to healthy up your daily life. These two smoothies are the Chocolat and the Nutty Professor. The coffee hatch is open from 7am everyday for you to get your fix!